Pollen grinders: The latest development in stash / herbs grinding - The pollen grinders are beautifully designed as well as highly precise grinders made on CNC machines. Pollen catchers/grinders are the latest development in herb grinding tools. It is built with four chambers grinding section(razor teeths), filter section and the store. 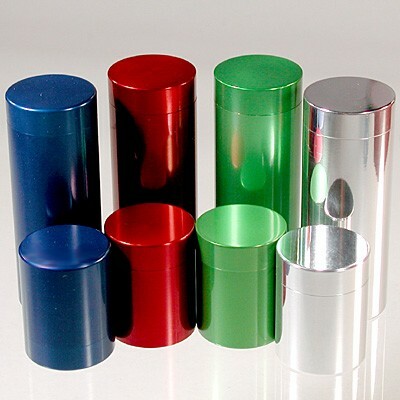 Metal pollen grinders are presently available in seven standard sizes in 32mm, 42mm, 50mm, 56mm, 63mm, 75mm, 88mm, 100mm and 150mm but can be made as per the customers specifications also on demand. It can be supplied in any colors. 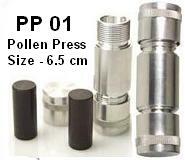 * CNC machines made Aluminum pollinators / herb grinders are fitted with strong magnet and o-rings. * The pollen presses are also made on CNC machines and are available in annodized Black, Blue, Red, Gold, Silver and Green colors presently but any other colors can be offered. * Pollen presser are available in three sizes small, medium and large.